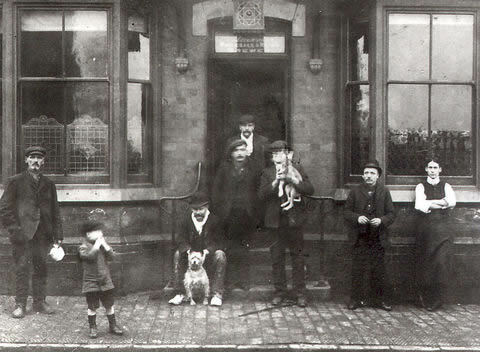 A real pleasure to come across the website Hitchmough’s Black Country Pubs – a fantastic resource for Brierley Hill historians. What’s more it is offering free downloads of all the information he has gathered over the years. Tony started to locate all the sources for pubs he could: archives, directories, licencing minutes, church registers…you name it he found it. Now, in a magnificent gesture of generosity he has made all of that information available for free. The downloads page allows you to click on the appropriate link and download a pdf of the research for a given area. There is also a 2000+ page pdf document on the breweries across the Black Country and pictures of 980 Black Country beermats. Of course, whilst being free, it would be nice to give something back in return. You can make a donation or send some further information to Tony by following the instructions on the downloads page. I’m sending him the links to my WW1 press cuttings on public houses. and use of the information you make available. Very helpful in my study. Hansons Brewery have anything to do with it .